Reiki is a divine blessing, and to be bestowed with Reiki is a remarkable lifetime event, that remains with us beyond the physical body plane. 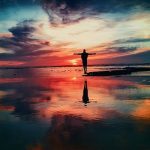 Although Reiki is popular as a hands-on energy healing technique, my work with Reiki in the past 8 years has given immeasurable and astounding revelations, that I decided to pen down the different aspects. While it’s human to be judgmental, however, once we experience Reiki, it keeps us amazed as we work on our physical, psychic, karmic, and divine existence. It doesn’t matter if you are someone drawn to Reiki either by being skeptical or by challenging it, either way, Reiki works with its ‘wholeness’ for your highest good. It’s unlikely, to not be attracted to the subtle yet powerful Reiki energy even if it was invoked for healing some physical pain. It is believed that Reiki re-ignites our divine essence and eases our life by re-aligning us to our higher self. Reiki raises awareness about self-care, self-love, self-development which tend to get overlooked in today’s times. It reminds us of self-love and opens up the path of infinite abundance. We are reminded of our oneness with all living beings, animals, plants, environment, our beautiful earth and the universe. It is said so, we are born out of stars or light sparks, the realization of which blossoms as we tune into Reiki. With deeper self-practice, our non-duality shines within us prominently and the many aspects of our existence start unveiling. As we experience profound encounters with Reiki, we carry serenity that reflects in our lives in the form of peace, and fulfillment. We become a living talisman who uplifts those around us. Reiki sets us in ‘being-ness’ in times of wax and wane, thus making acceptance of life a heavenly point of view. Reiki is gentle and its magical petals wrap around us to protect our physical, astral, mental and spiritual bodies. As we endure in Reiki, we remain connected to the infinite source of wisdom, happiness, and unconditional love. Thus, Reiki is a handy tool for manifestation of physical realm goals because ‘divine’ love makes things happen. In many healing experiences, Reiki unleashes the truth in the situation to bring justice and thus heals for the highest good. In many cases, it works on the idea of ‘letting go’ and building a natural flow of energy. Reiki flows where it is needed, so even if someone doesn’t believe in Reiki, it works for their highest good. Reiki banishes negativity and works wonders in clearing spaces, releasing blocked energy, and filling warm, peaceful free-flowing energy. 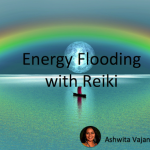 Reiki has no limitation of time or space hence it can be used for healing present life incidents, past lives, or it can be projected into the future to heal incidents such as an upcoming interview or an event. Reiki polishes one’s personality with qualities of compassion, kindness, giving, unconditional love, honesty, equality, and a balanced life. As you breathe, Reiki flows in and nurtures your being with the cosmic energy. Your state of ‘being-ness’ spreads and radiates to everyone around you thus impacting your family, friends, neighborhood, city, state, country, world and universe at large. Is there any article explaining how to reconect with Reiki? I am arruned but I’m not practicing as I was in the beggining. And it is not only about time – which I have – but about feeling it, and having all of this described above in the article. How can I get back in touch with the feeling and interest that I had when attuned? It’s alright to have lost touch with Reiki self-practice. I am in the process of sharing an article on this topic.